It is the eve of IIFA 2011 awards in Toronto and the city is alive with bollywood stars. What better way to start your weekend than sampling one of the royal culinary excellence -- the shahi kofta curry. Meatballs in curry sauce is more commonly known in India as Shahi Kofta curry or Lamb kofta curry. 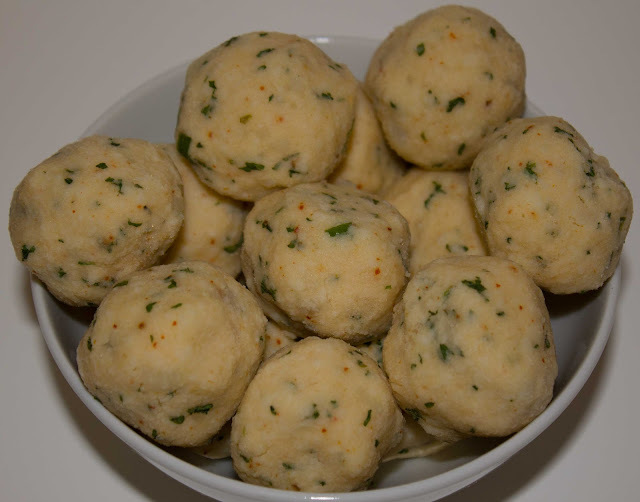 Small fried dumplings of minced lamb are cooked with aromatic gravy to blend the flavors together. 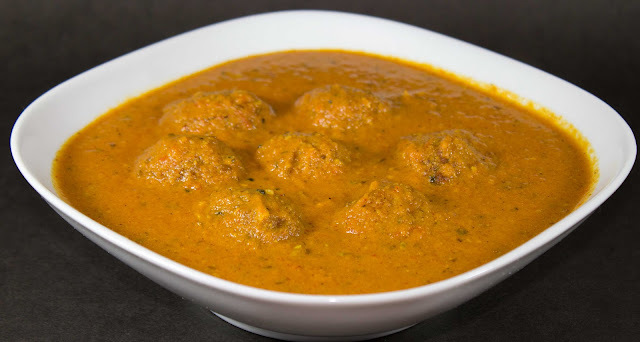 Sometimes small raw lamb koftas are immersed in boiling curry sauce to cook them while the gravy thickens. This version is definitely lighter and is a good technique if you plan to cook this dish more often. But for special occasions and to try the authentic flavor you have to either fry the meatballs, or bake them before adding to the gravy. 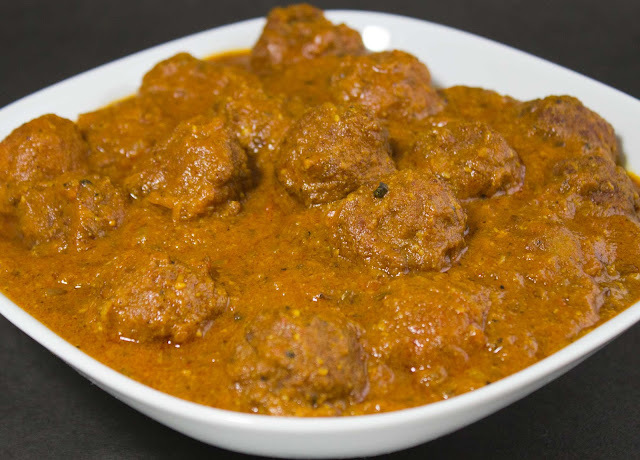 Lamb kofta curry has a definite influence of mughal cuisine and is thus considered a shahi or royal dish. 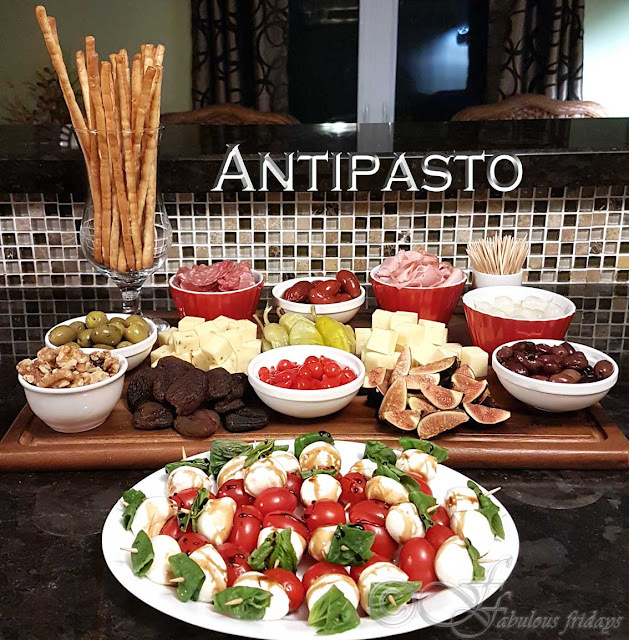 Use of aromatic spices and nuts makes for a very different and rich flavor. Serve with naan or cumin rice along with green salad to complete the meal. While pairing wines with spicy curried Indian foods, acid and alcohol levels should be balanced. More complex the meal, less complex your wine should be (in terms of acid, tannins and after taste). Look for wines that are more fruity, are lower in acid and tannins and have a mild sweetness. One thing that is not debatable is that beer (cold beer) and Indian food go very well together. So if you are not picky about your drink just have beer with this meal. Option 1 -- this is the no fry option. Shape into small 1/2 inch balls and keep aside to cook in the gravy. Option 2 -- shape into 1 inch balls and spray well with oil. Bake at 350F for 20 minutes. Keep aside. 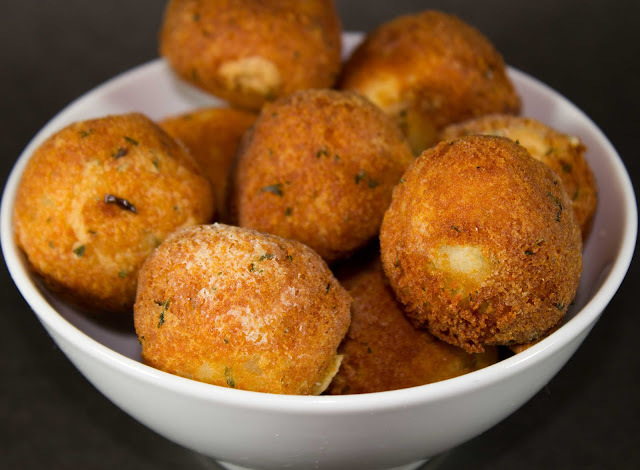 Option 3 -- shape into 1 inch balls and deep fry on medium high heat till golden. Drain and keep aside. Gravy -- In a deep pan heat oil and add the whole spices and let cook for 10 seconds. Add onion and ginger garlic paste and cook on medium high stirring often till it turns golden brown. Now add all the spices and nut powder and cook on low stirring constantly till the mixture leaves oil from the side. With the nut powder its very susceptible to burn so be on top of it. Add tomato puree and cook again till oil comes out from the side. For Option 1 -- Add a cup and a half of water and bring to a rolling boil. Do not reduce the heat and carefully add the raw meatballs in the boiling liquid. Continue to cook on high for 5-7 minutes till the meat balls cook and gravy thickens to the desired consistency. Serve hot garnished with fresh chopped coriander. For Option 1 and 2 -- Add a cup of water and bring to a boil. 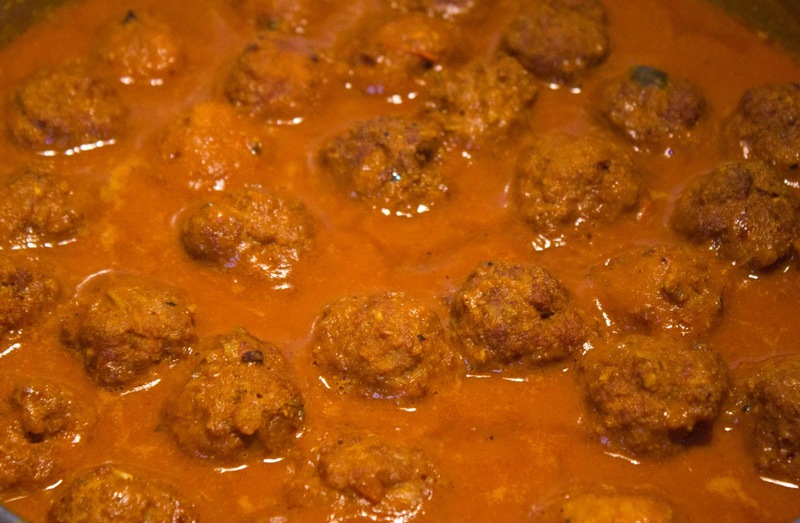 Add the fried or baked koftas and cook in the gravy for 5 minutes to let them soak the flavors. Serve hot garnished with fresh chopped coriander. When most people (specially in India) think of vegetarians, they think of lacto-ovo vegetarians. These are people who do not eat beef, pork, poultry, fish, shellfish or animal flesh of any kind, but do eat eggs and dairy products. Egg is a very versatile ingredient and can be used in several different ways. 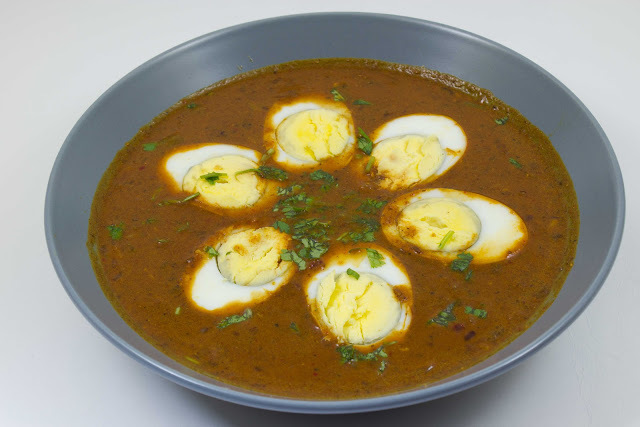 Egg curry is a popular dish in India and is made in many different ways depending on the region. 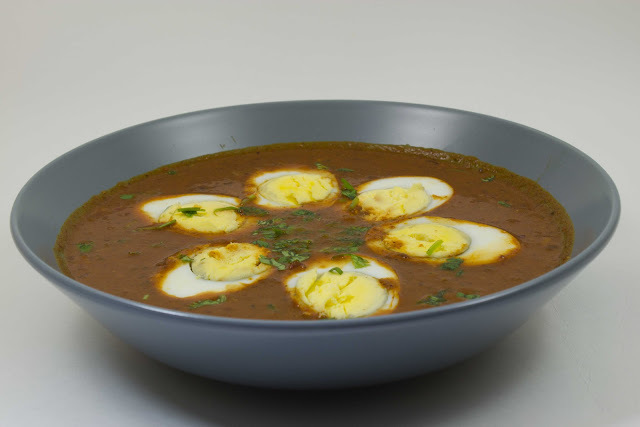 The following recipe is a north Indian version of egg curry with Mughlai cuisine influence. Tastes excellent with roti, naan and rice preps alike. Dry roast all the whole spices in a hot pan for about 3-5 minutes till they impart a fragrant aroma. Grind them coarsely in a coffee grinder or mortar and pestle. In a pan heat oil and add the ground spices. Roast for 30 seconds and add onion, garlic and ginger along with salt and turmeric powder. Fry at medium high heat till onions turn pink. Add the peeled hard boiled eggs and roast gently with the spices. Make sure to do this at medium heat and add a bit more oil if required. After 5-7 minutes the onions should turn golden brown and eggs should have browned at places. With a pair of tongs gently remove the eggs and keep aside making sure not to remove the onion mixture. Now to the browned onions add tomato puree and continue cooking at high heat till oil separates. At this point add the yogurt and cook again while stirring till the oil separates at the sides. Add 1/2 to 3/4 cup of water and bring to a boil. Gently lower the fried eggs into the mixture and simmer for 10 minutes. Adjust the consistency by adding more water if its too dry. Garnish with fresh chopped coriander. 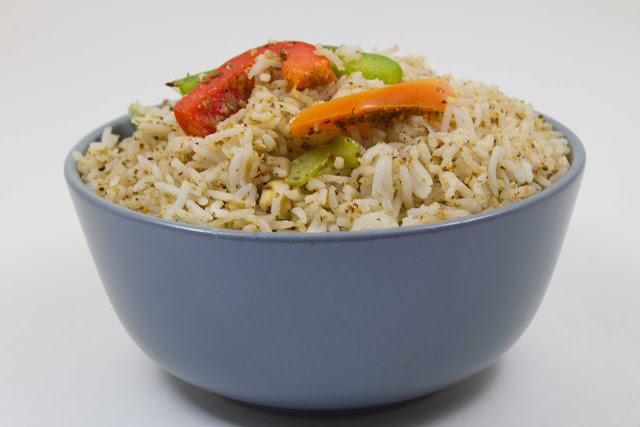 Serve hot with roti or rice preparation. In a saucepan combine rice, water and salt and bring to boil. Simmer covered for 10-12 minutes till all liquid is absorbed and rice is fully cooked. Keep aside. In a small pan dry roast all the dry spices except curry patta for 5-7 minutes till the urad dal turns golden. Grind them together with the curry leaves in a coffee grinder coarsely. In a large pan heat butter and add the bell peppers. Stir fry for a few minutes till they are tender crisp. Add the coarsely ground spice mixture and mix well. Fluff the rice with fork and add them to the pan with peppers and gently mix everything up to blend in the flavors. Serve hot. 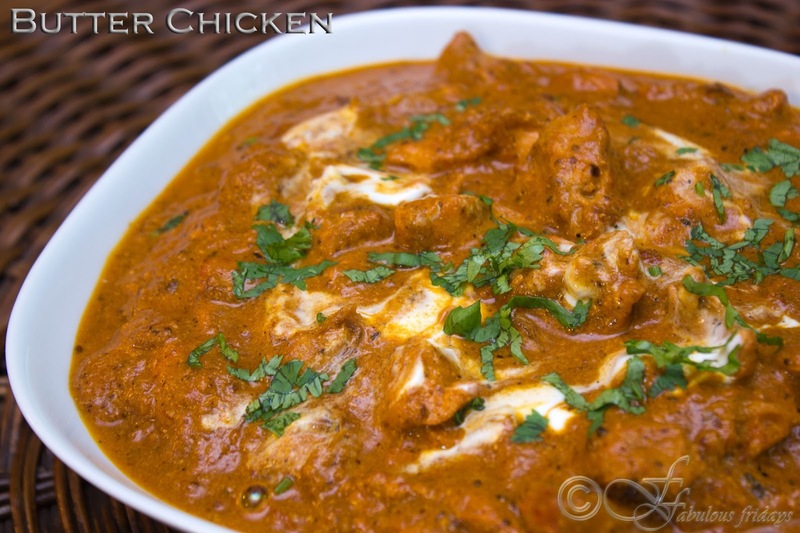 Butter chicken or makhani murg is a rich creamy Chicken curry from northern India. 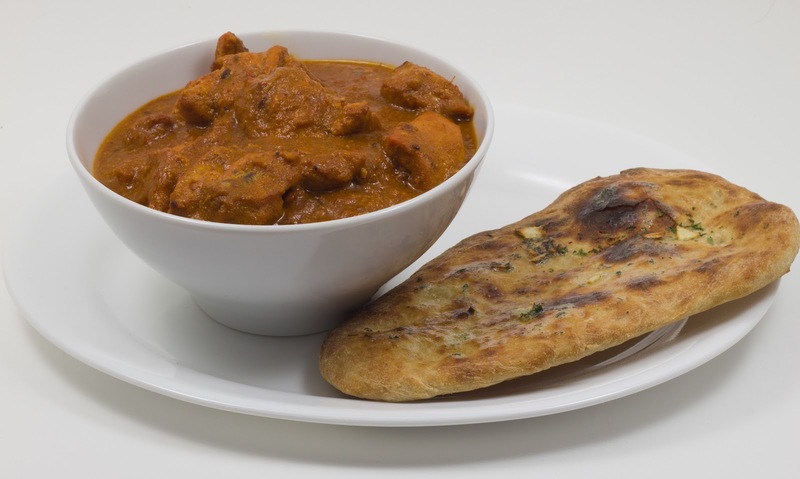 Among the best known Indian dishes all over the world, butter chicken has its roots in Punjabi cuisine. The rich rose colored gravy can be made hot or mild to suit every palate. It tastes great with naan or rice. Just serve up a side green salad. Blend all the ingredients for the marinade and marinate chicken for 4 hours or overnight. Roast in a hot oven at 375F for about 15 minutes turning halfway till chicken is almost but not fully cooked. Remove from oven and let stand for 5-7 minutes before cutting the chicken into bite-sized pieces. keep aside. Take a large pan and heat 2 tsp oil. Add cumin seeds and then 30 seconds later onion and ginger garlic paste. Cook at medium-high stirring often till the mixture browns. Add tomatoes, coriander powder, chili powder, salt, sugar and green chilies. Continue cooking stirring often till tomatoes are cooked well, leaving oil from the side. Take off heat and cool the mixture down. Puree in a blender to obtain a smooth puree. In a pan melt butter, add the puree carefully and bring to boil. Add the roasted chicken pieces and cook on medium heat. At this point, you can add the red color if you desire. Also, adjust the consistency of sauce with a bit of water. Simmer this concoction for another 5-7 minutes so that chicken cooks fully and acquires the flavor from the gravy. Add cream and garam masala and mix well. Turn off heat and garnish with fresh coriander. 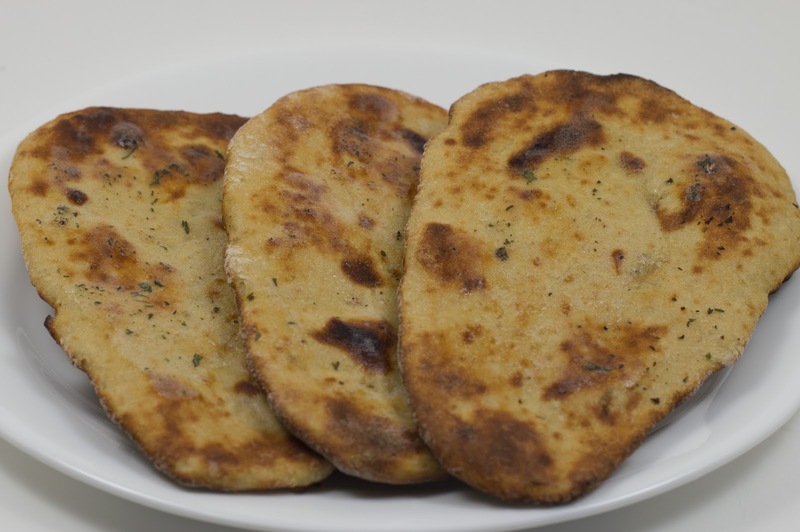 Serve with mint garlic naan (recipe below). Follow the recipe for plain naan. Substitute flour with whole wheat flour. Before placing the naan in the oven, sprinkle and press chopped garlic and dry mint on top of the rolled naan. Bake as per the recipe.